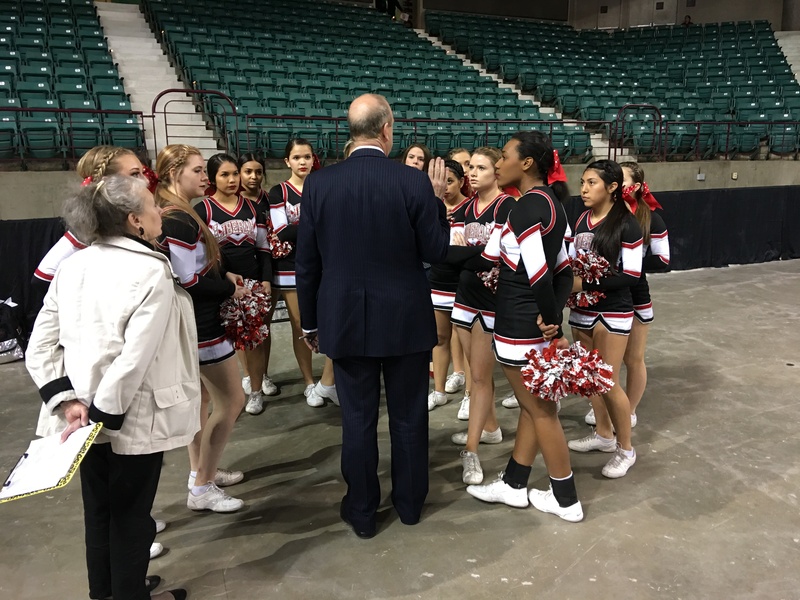 The Liberal Lady Redskins announced their presence at the 5A state basketball tournament in Topeka. The Lady Red won 62-29 over the St. James Academy in a game which was never close Thursday night in Landon Arena at the Kansas Expocentre. The Lady Skins bolted out to a 12-0 first quarter lead against the girls from the Lenexa private school. Liberal led 27-9 at halftime. The Lady Redskins shot 53 percent from the field and held the Lady Thunder to 21 percent shooting. Liberal was 20-30 from the foul line and St. James was 2-2. LHS out rebounded the Lady Thunder 35-23. LHS only committed seven turnovers. Katie Horyna led the Lady Red with 12. Machia Mullens had 11 points and 10 rebounds. Ali Lucero and Whitney Hay had 11 a piece. Hay was 4-4 shooting and 3-3 from three point range. Aubrey Warden grabbed seven rebounds. Liberal wins a game at the state tournament for the first time since 1987. Counting the boys, this is the school’s first win at state since 1993. Liberal is 22-1 and St.James finishes 8-15. 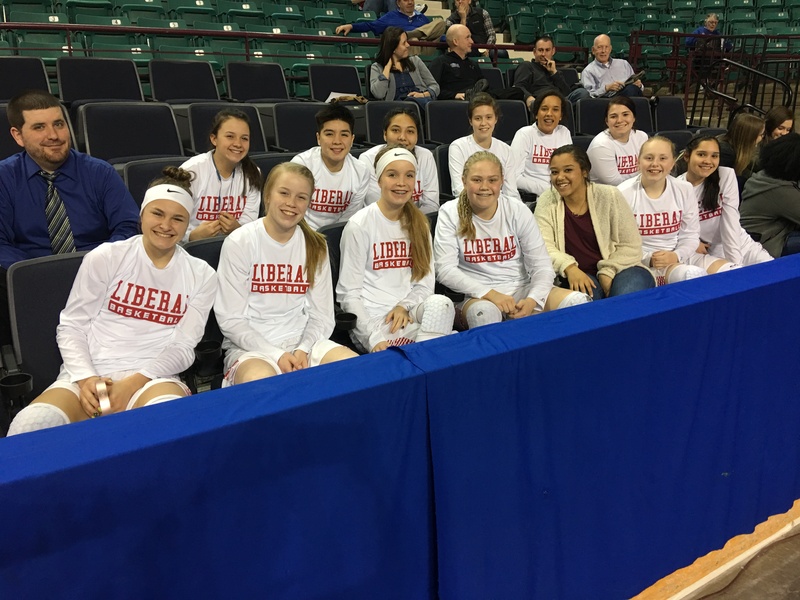 Liberal will play in the state semifinals Friday night at 6:30 against 18-5 Bishop Carroll on 107.5 and kscbnews.net. Redskin Pregame begins at 6:15. Carroll beat Kansas City Schlagle 77-56.